Highway 17 starts in Winchester, Virginia and travels south all the way to Punta Gorda, Florida. The roadway spans 1,189 miles and passes in and out of many towns along the way. This highway was used to travel up and down most of the eastern coastline before I-95 came about in the 1950’s and 60’s. It reflected the era of 1950’s travel motor homes and hotels, Victorian structures and WWII-era Liberty Shipworks. Since then, use of Highway 17 has greatly declined and it shows. The highway acts as the gateway to the “The Golden Isles,” which includes Sea Island, Jekyll and St. Simons, as well as a way to get to historic Brunswick in southern Georgia. 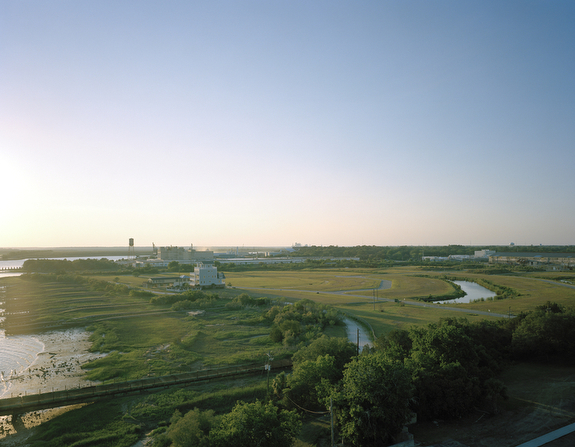 As a result of the great decline in use, the highway now showcases the effects of poor urban planning: along with ugly billboards, poorly-laid-out intersections, ruined and abandoned buildings, and clutter that doesn’t display or reflect the beauty of the coastal marshes and waterways all around you. 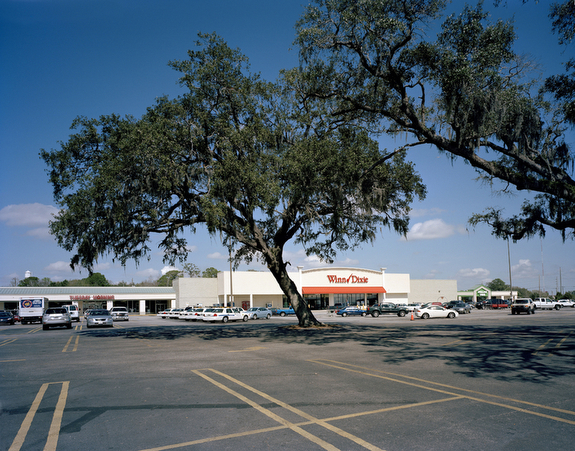 By documenting the area with the use of large format photography, my goal with this work was to show the structures along the highway that give evidence as to why there needs to be a focus on preserving and re-building Coastal Highway 17 as it enters and exits the city of Brunswick, GA. I focused on showing the poor use of land, the deserted buildings, the pollution sites and other eyesores that conflict with how the area should be organized. The city of Brunswick and Highway 17 stand as a model for so many other cities all across the United States that have the same problems and a need for preserving the historic and scenic qualities of these gateways.